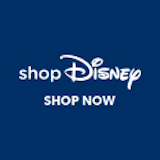 Resort Merchandise - DVCNews.com - The essential Disney Vacation Club resource! The following items bear the logo and imagery associated with Disney's Saratoga Springs Resort & Spa. DVCNews.com cannot guarantee the availability of any items listed above. Items may be discontinued or fall into short supply at any time. Those who are informed that an item has been discontinued are welcome to contact us so that we may remove the item from our listings. For order information visit the main DVC Merchandise Catalog page. These item descriptions and photos are being provided as a courtesy to DVC members. DVCNews.com does not receive any compensation for sales generated by these listings. The Merchandise Guest Services division is staffed by employees of The Walt Disney Company. Comments or questions regarding the quality of items, shipping time, pricing, etc. should be directed to the MGS staff.